Editor’s Note: Dogs are very special people. And camp dogs even more so. 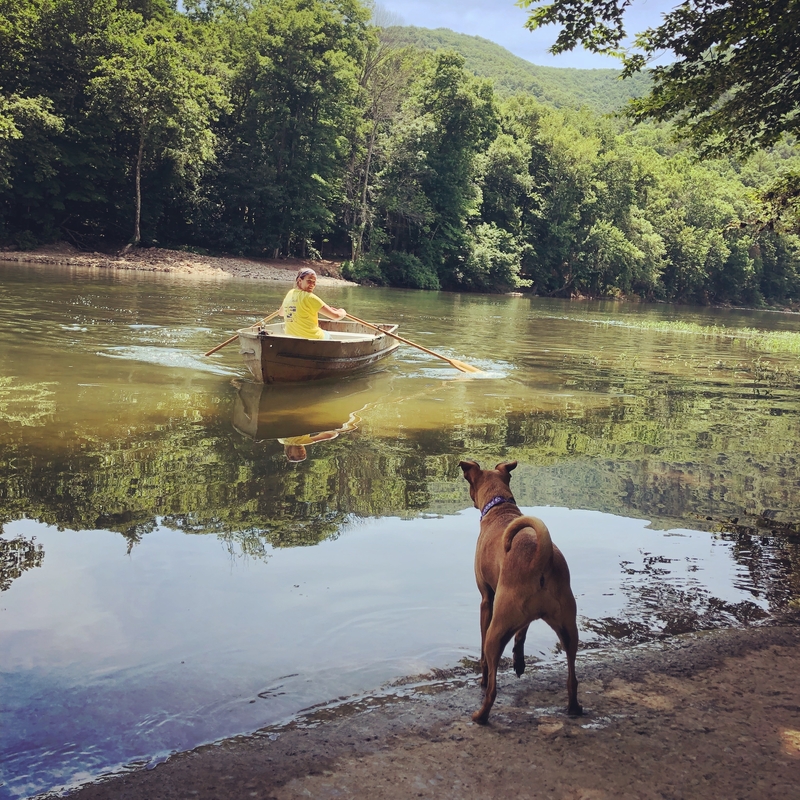 This extraordinary tale was told to me, Rachael Newlin, the Second Term Barge Lifeguard, by one Roo, a dear camp dog who spent the summer here with her “mother,” Whitney Kiper, our Administrative Assistant to the director. Of course, being a dog whisperer, I could hear everything Roo wanted to share. 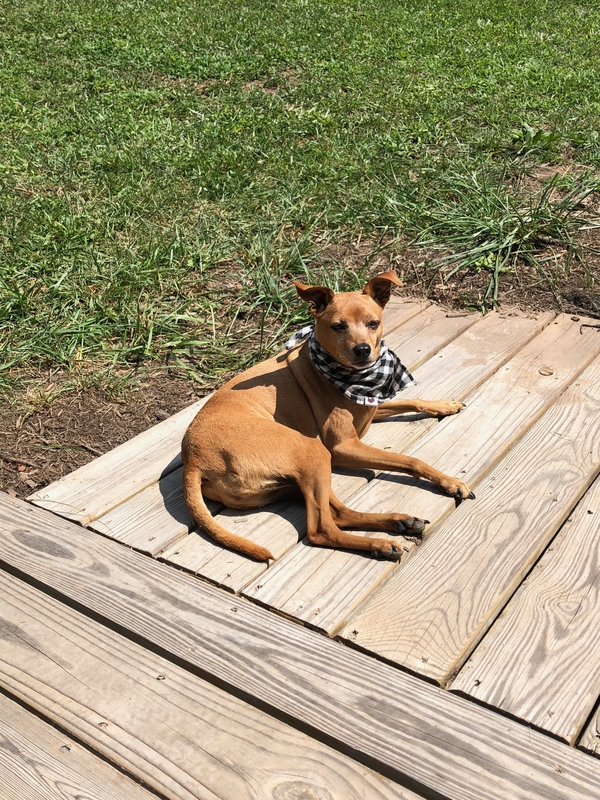 I’ve transcribed all Roo’s barks, ruffs, howls, observations, and tales as faithfully as I could. Welcome all to my own personal, A Day In The Life. To get to “camp” we travelled very far in Mother’s motor machine, ending down a long bumpy road with water at the end. To say the least I was confused when we arrived to what seemed to be, well, a dead end. Mother proceeded to get out of the machine, unpack our things, and speak with a woman in a most friendly and excited way! I “ruffed, ” too. Dutifully, I followed the woman down a hill onto a large metal float that allowed Mother and I to be transported across the water — they called it the river — by men with the largest sticks I have ever laid eyes on. Even I couldn’t play fetch with those! We landed on the river’s opposite side still intact and with our precious belongings dry and safe (I guarded my food closely, fearing it might tumble into this river). Mother then advanced forward with myself trailing behind loyally. To begin with some background of my own history, I am, first and foremost, a city dog for a very small family of two. That is to say, typically I reside in a lovely condo with only myself and Mother, our family of two. So living in such a vast and populated “camp” estate is new to me. But don’t assume I’m only a manicured, prissy female! Mother and I traverse the urban landscape for daily walks and nature hikes are not foreign to these paws. I thoroughly enjoy sniffing my way through alleys and deciduous forest ecosystems alike, and snacking on barbeque leftovers that have been carelessly disregarded by the humans in places called parks. And now I’m eager to explore my new camp surroundings (maybe there’s some BBQ here, too!). It seems that Mother brought us here to busy herself with uninteresting human activities mostly involving paper and arid human chitter-chatter about things I simply cannot be bothered with. Thus, I’m usually left to occupy my own time, which I must admit, I’ve enjoyed immensely. During the sunlit hours I can find any number of two-legged creatures who inhabit this land, shouting, singing, and running about. Mother and I live in a Big Building the humans call “The Cottage,” that many very small humans also occupy, the latter of whom shout and run quite a bit more than anyone else I’ve met here. They’re not so interested in me, nor I, them. Moving on, my day begins after the light ball has filled the sky for a little while and the air is fresh with morning dew. Usually Mother and I have our special time then, taking a hike and having breakfast. I’m sure you can imagine my pleasure in that ritual! Directly after that I often find myself conversing with another female I’ve met here who the humans address as “Philae.” Philae is a veteran of this estate and seems to know the property better than any human or animal, having come during this busy season and often throughout the year when very few humans are around. She fills me in about residing here and generously relays her most recent explorations and adventures, almost all of them revolving around protecting her father person, Casey. Later on I take an observatory lap around the grounds, my constitutional if you will, wherein I inspect the activities of the various excited, youthful individuals who are boisterously bouncing around to different sanctions of entertainment. I’ve come to know many of these young persons, most of whom call out my given name as I trot by. It’s quite the cacophony at times hearing, “Roo,” “Roo, over here,” and, “No, Roo, here, here.” Occasionally I stop and allow those I see fit to pet me, that is, if there’s not a more exciting sound from down a forest trail, or a good smell wafting on the wind to chase. Next in my daily schedule I return to the smaller bustling building, I think they call it “The Arffice?” It’s where Mother occupies most of her day-lit hours. I’ll rest there a bit, find a sweet spot nearby, bask in the delightful sun rays, and I must confess, be admired by every passerby. But all the while I’m purely wallowing in thoughts of future food-themed gifts from upcoming cook-outs or of potential deer to chase on my next hike, or most of all of seeing Mother when she has a moment’s break. I love her kisses and her petting and she loves seeing my tail wag with delight upon getting a quick moment together. It truly is beautiful on these camp grounds; Mother seems delighted to be here, which, understandably, also gives me joy! 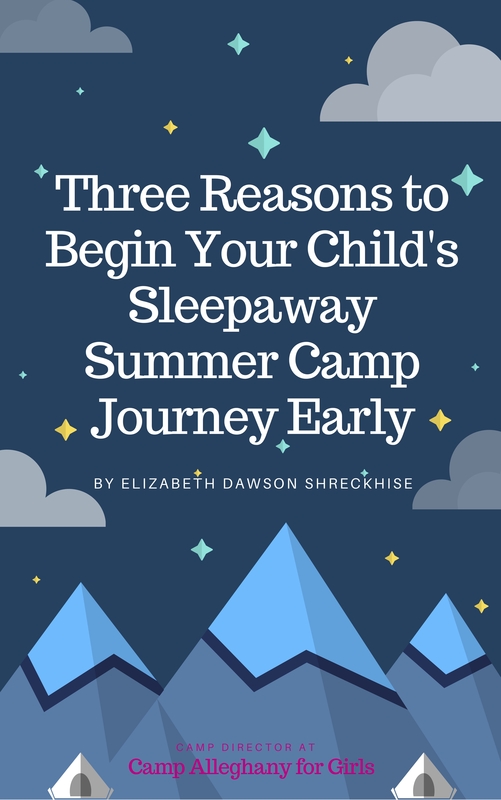 We spend the evenings together while the rest of the Cottage tenants enjoy their nightly rambunctious routines of singing or fire-gatherings or best of all, late night snacks, before surrendering back to the Big Building to sleep. I must admit, I feel very spoiled here, regardless of missing our quaint city-life. Well, the end of the day is approaching, Rachael, and I’m off to see Mother and, hopefully, a good bone! 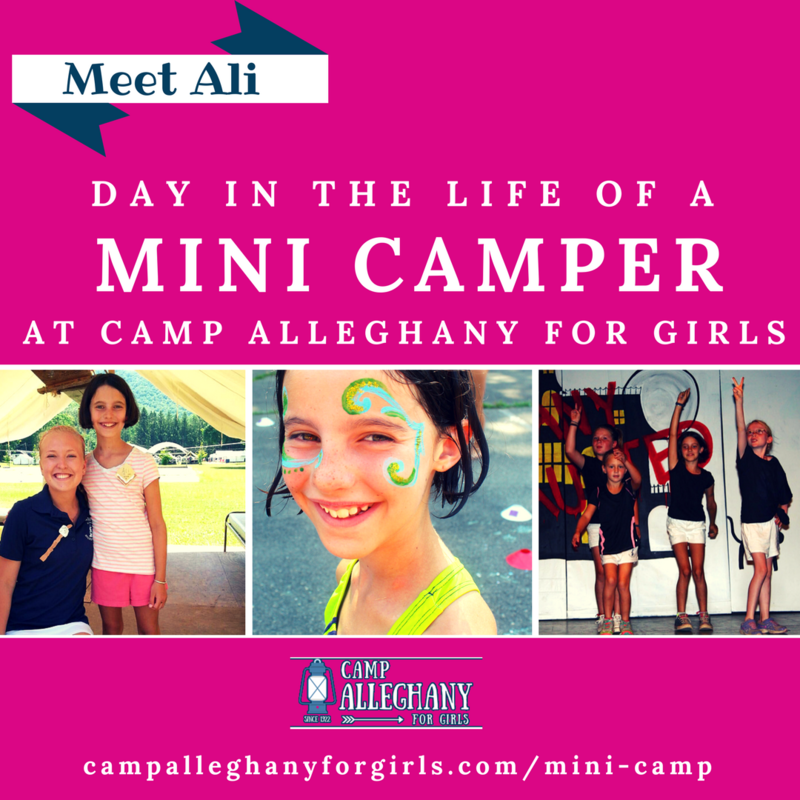 I hope to tell you more about my camp adventures soon! 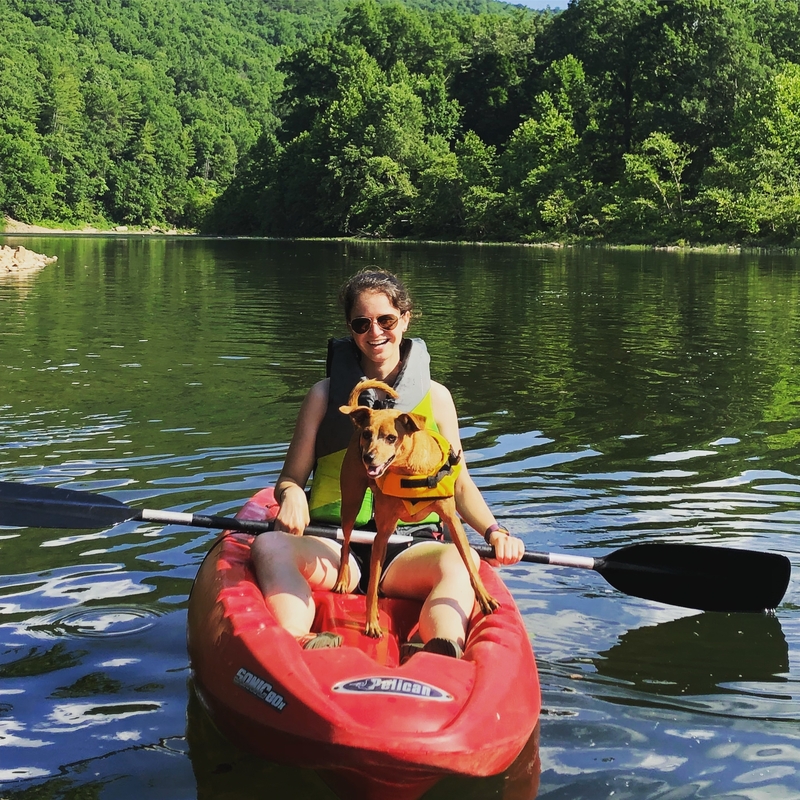 Rachael Newlin is a former counselor and was the 2018 2nd Term Waterfront Lifeguard.